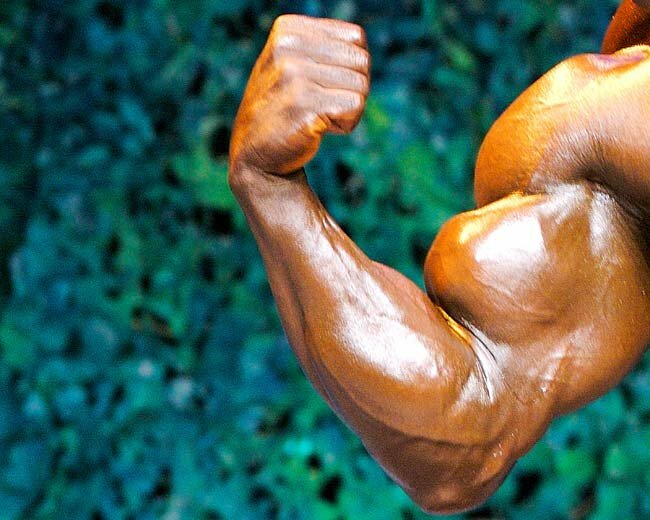 A How-To Guide To Build Huge Biceps! 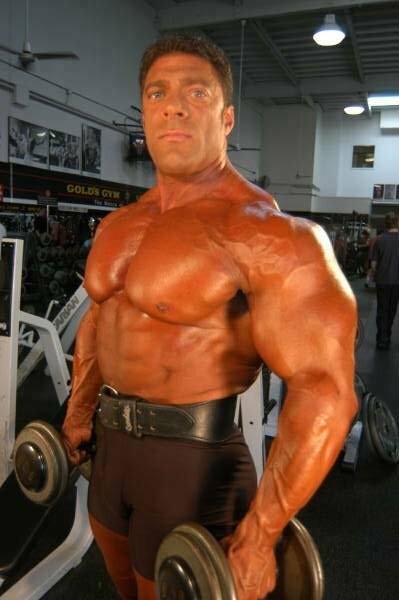 Learn how skinny guy muscle building expert, Vince Del Monte, reveals how to build huge biceps. Learn more as he describes common problems with suggestions plus a step-by-step program to take your biceps to new heights! The "Guns." The "Pythons." "Thunder" and "Lighting." The "Rockweillers." 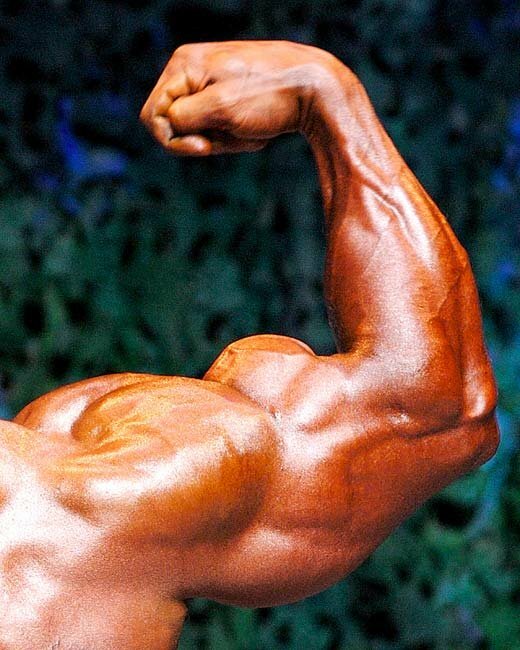 There is no other muscle group that has earned more nicknames than when describing a bulging and huge set of bicep! Bulging biceps - every guy wants them. Count me in this group. 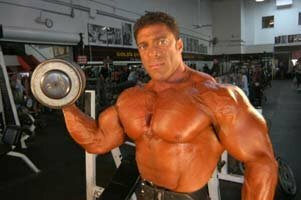 The days are far from gone when you walk into the gym and see 9 out of 10 guys doing bicep curls all at the same time with the same determination to add even 1/4 inch to their biceps. Training biceps has become almost an 'obsessive addiction' in the gym. I have seen guys do bicep curls in between sets just so they can 'see' a little bit of a pump in their arms. 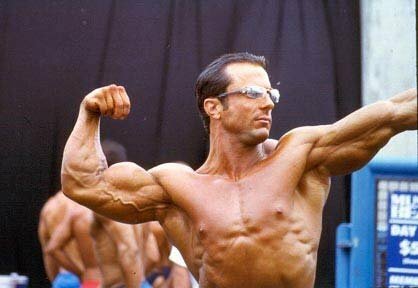 Someone disagree with me that bicep training has become an unhealthy 'obsessive addiction.' for many. In the "Skinny Arms" defense, the allure of peaked, mountainous biceps will never go away. Why should it? The 'guns' are of a man's most prized possessions and one of many women's most desired body parts on a man (of course)! The 'Guns' Are Of A Man's Most Prized Possessions. 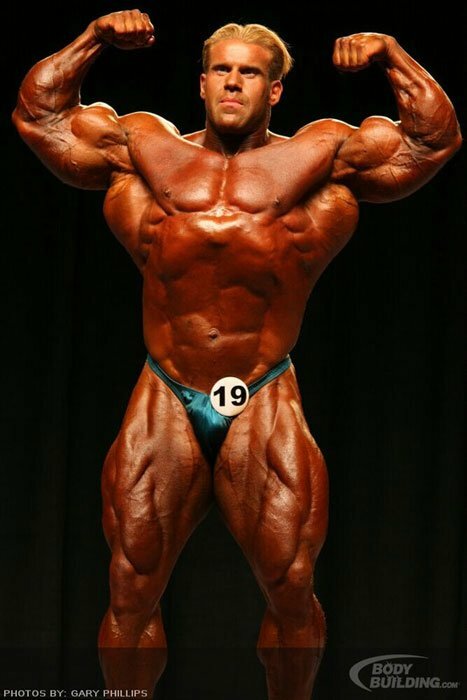 My question is if 9 out of 10 guys are obsessed with seeing their biceps grow and dedicate so much of their workout volume to isolating their biceps and using every technique from forced reps, drop sets, and 21's which are 'promised' to be the most effective methods confirmed by pro bodybuilders, why do they still have little to show for their efforts? Let's examine five of the most common problems with bicep training before I offer a step-by-step program to take your bicep peak to new heights. If doing 4 sets is better than 3 sets, why don't you just do 10 sets? Even better, why don't you just train them all day? It has been said before, but it obviously needs to be said again: "Less is often more." Especially if you are not gifted with "muscle-friendly" genes. Your goal of each weight training workout should be to simply 'out do' your last workout. Once you achieve this with an extra pound or a few extra reps, then it is time to move to the next exercise. Not to Nazi-torture the muscle for another hour. [ Click here to learn more. ] HIT Vs. Volume! In this article I will talk about methods that will help all the followers of HIT and Volume plus those in between. I have found this a hard concept for many skinny guys to grasp because they are fixated on the instant gratification of making their biceps 'look' big during the workout and not what they look like when they leave the gym, which leads us to our next problem. Problem #2 - Being More Obsessed With How They Look While You Train Rather Than When You Are Not Training! Problem #2 ties in with problem #1. The truth is that the longer you train your biceps, even if the weights are not extremely heavy, you can achieve a fairly decent pump that can turn a few heads while in the gym. This attention and perception that you are doing something beneficial is deceiving. Yes, there is something to say about keeping blood in the muscle as long as possible, but if the workout is done with weights that do not overload your muscles and emphasize an increase in strength, your biceps will quickly deflate back to normal with no true muscle growth. Some of the biggest guys I know rarely even train their arms. What they do though is put a strong emphasis around increasing their chest, back and shoulder strength. If you simply focus on increasing the weights on your rows, pull ups and chin-ups, rest assured that your biceps will come along for the ride and grow proportionally. However, if you are always blasting and 'smoking' your biceps, they will always be fatigued when you train your back muscles and, as you should know, you are only as strong as your weakest link. This is another reason to take a lower volume approach to arm training. "Goals: To gain strength on all the big lifts(ill set specific goals later on)." "Hey all, I remade my journal because I want to have entries made on the day of the workout for fresher memory of the workout lol." "Welcome to my novice strength training/weightlifting journal." Every pro bodybuilder will put their money on two of the simplest exercises for building huge biceps - barbell curls and dumbbell curls. According to the pros, these two exercises have built more huge guns than any other exercise in the world. I definitely agree that these 'simple' exercises are a safe foundation to build a program around, but let's also remember that pro bodybuilders using steroids are going to have a strong response to practically any exercise they do. I have no problem using these two exercises under one condition - you are getting stronger from week to week. As long as you are increasing the weights and reps relative to perfect form, then your arms should continue growing. 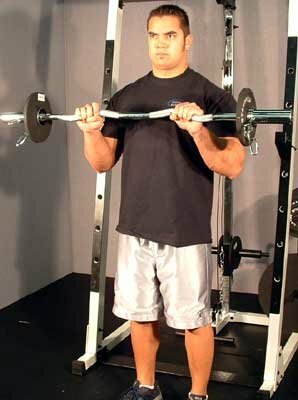 Aim to build your barbell curls up to 110 pounds for a few "slow speed" sets and your dumbbell curls up to 50 pounds for a few "slow-speed" sets that involve zero rocking and swaying. 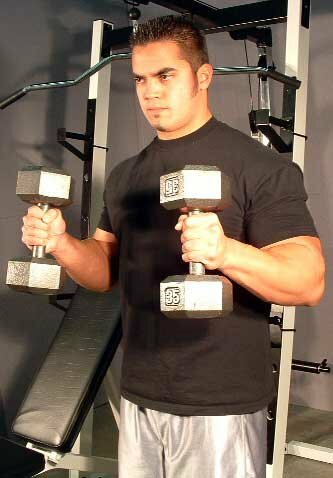 Bicep Exercise 1: "Stress" the outer portion of the bi's by placing your elbows outwards and using a super-close grip. Bicep Exercise 3: To "stress" the brachialis and brachioradialis stick to good old fashioned hammer curls and reverse curls. Don't underestimate these two exercises in the slightest. 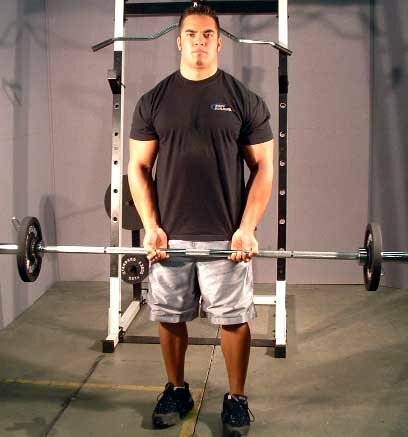 I think many weight trainees do not fully grasp the concept of isolating and actually training a muscle. They do not know how to make the muscle work and fatigue. 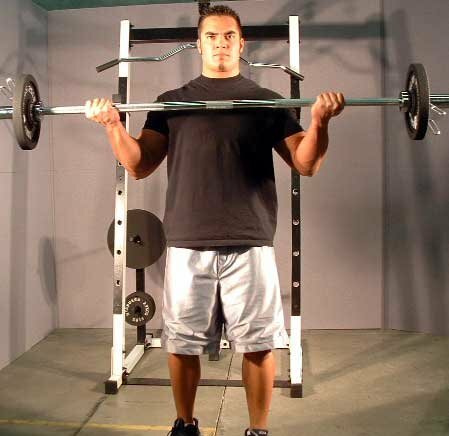 Instead, you see a lot of swinging, momentum and sloppy lifting used to move the weight from every part of the body except the one they are actually trying to train. The biceps have a very strong response to "constant tension," which means you should never give them a chance to breathe. Keep the bar constantly moving without pausing at the top or bottom. 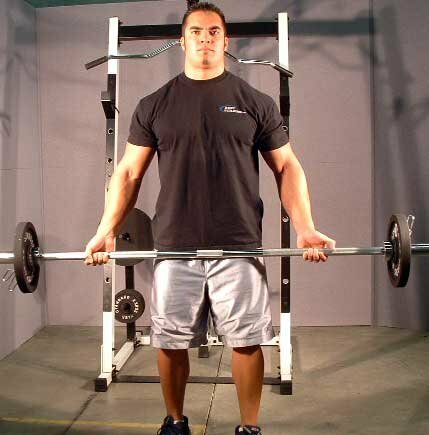 Focus on squeezing the heck out of the bar and never let your biceps relax until the set is over. 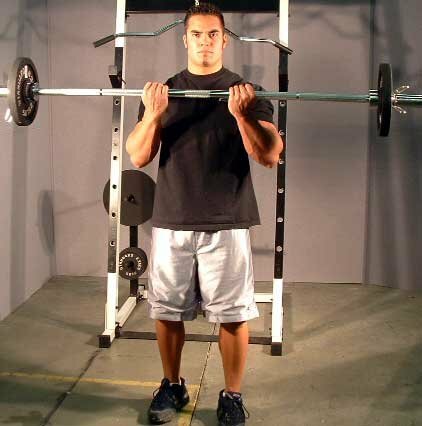 Focus On Squeezing The Heck Out Of The Bar. Your entire goal is to not allow any oxygen into the muscle which creates a spike with your anabolic hormones to promote muscle growth. Resort to a slower 3-0-3 or 4-0-4 tempo to get the job done. Click Here For A Printable Log Of Workout C.
Click Here For A Printable Log Of Workout D.
Notice the simplicity of the workout structure. This program will work extremely well for hardgainers. The overall volume might be a little low for someone used to a traditional bodybuilder split program and has more than four years of consistent training. This Program Will Work Extremely Well For Hardgainers. The power of the program is found in the principle of prioritization by sequence on the first pull workout. Notice that your prioritization muscle is being sequenced at the start of the workout and the start of the week. This is happening on purpose. We are intentionally giving your biceps an opportunity to train at their two most "fresh" times - at the start of the week and at the start of the workout. Focusing on increasing overall strength can still be achieved on the second pull workout where the biceps will not be pre-fatigued. Notice the slow speed movements. Many anabolic hormones are released when your muscles are under constant tension. The tempo's are set up so that will be forced to move the weight slower and with a greater amount of tension concentrically and eccentrically. On a pull day, 402 would mean: 4 seconds to release the weight, 0 second pause at the bottom and 2 seconds to pull the weight. 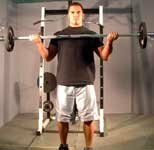 On a push day, 402 would mean 4 seconds to lower the weight, 0 second pause at the bottom and 2 seconds to push the weight up. Focus on adding 5-10 pounds to each of your exercises over the course of the next four weeks while keeping the rep ranges and sets the same. It is not necessary to do more sets or more reps. Focus on increasing more weight under the same set, rep, tempo and rest prescription. Building Huge Arms Super Feature. There has never been so much great information about developing your arms as you will find right here! This comprehensive listing will feature arm workouts, a breakdown of the arm, top arm muscle builders, and more. Focus on gaining an extra 5 pounds of overall weight this next 5 weeks. That works out to gaining about 2 pounds of dry muscle accompanied by some water and glycogen weight. An extra 5 pounds of overall weight should lead to at least an extra inch on your arms. Keep the program going for another 5 weeks and you'll have a whole extra inch on your arm in about 10 weeks! Then tell all your friends to get tickets for the "Gun Show!" 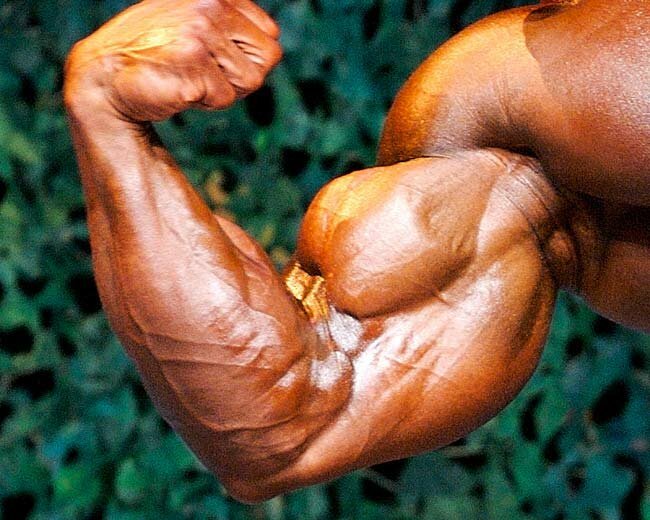 Click Here For The Best Bicep Pictures On The Forum. He specializes in building muscle by teaching an explosive step-by-step muscle building system without drugs, supplements and training less than your friends! © 2006, Vince DelMonte Fitness. All rights in all media reserved. You may reprint this article so long as the article and author bio are reprinted intake and all links are made live. This article may never be sold individually or as part of a package.